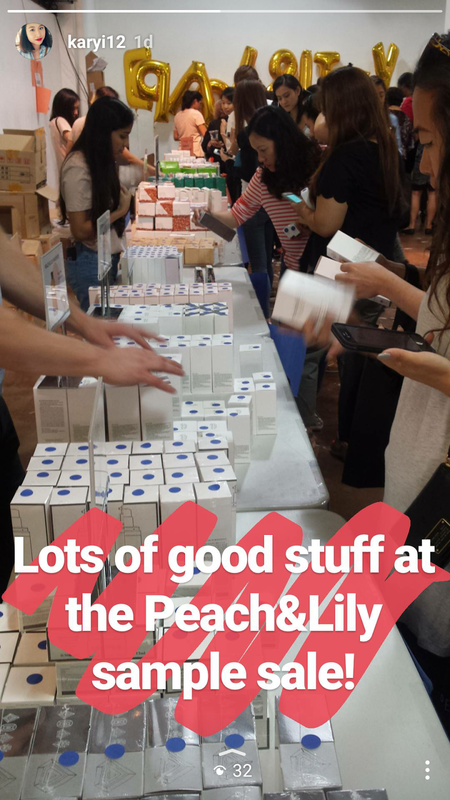 Yesterday Peach & Lily, a popular Korean beauty retailer, held their second annual sample sale and I dropped by to see what skincare and makeup was up for grabs with Monika. The one-day sale started at 8am so I was checking the #peachpartynyc hashtag like crazy in the morning to get a sense of what to expect. Apparently it took an hour and a half at some point to go from the end of the line to the entrance of the sale which had me pretty nervous. Monika and I had planned to meet there at noon and as I was walking to the location, I was amazed to see there was no line at all! Score! Then I was nervous that there would be nothing left to purchase but, luckily, I was wrong! 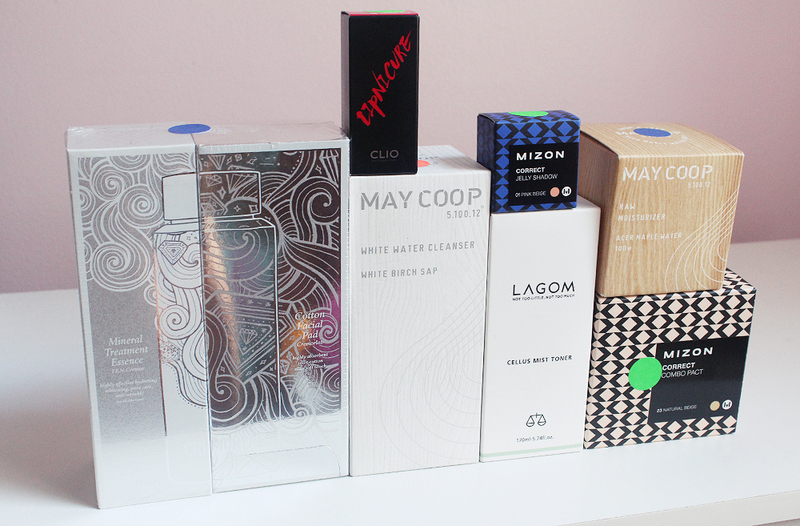 There was still a lot of skincare to choose from and a decent makeup selection. Everything was very orderly and products were sorted by prices. Each section had a color and products were individually marked with colored stickers. All makeup was $3 a piece. I believe there were skincare products at $6, $10, $15 and $22. Although by noon much of the premium priced products had sold out. There were many staff members on hand who were very polite and eager to answer questions. Unfortunately there were no testers of anything so you just had to guess if a BB cream or foundation would match you. There was signage around the room discouraging people from opening the packages but I saw a couple of people who broke the safety seals anyway (not particularly surprising for a sample sale). Nontheless, it was a very smooth process overall and the steep discounts made it worthwhile. I didn't have a set wishlist going into the sale but I had a couple of items and brands in mind. Here's a list of all the products I purchased, the normal retail prices and the prices I paid at the sale. Here's everything out of their boxes in all their glory - don't you love the look of the packaging? All the skincare I purchased had reasonable manufacturing dates and aren't due to expire for years so I'm really glad these are fresh batches. I honestly purchased the Cremorlab Mineral Treatment Essence because I love the design of the bottle a lot (and I've seen it a handful of times on social media). 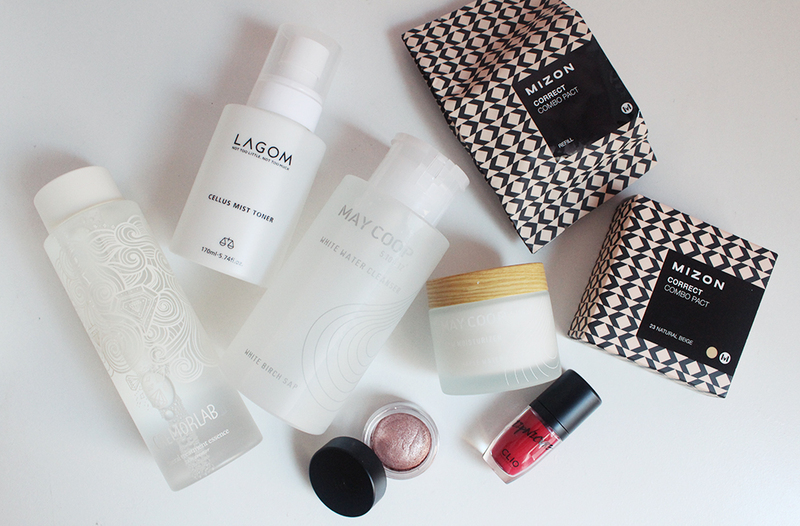 I'm all out of toner so I picked up the Lagom Cellus Mist Toner because I find mist toners to be most convenient. I've never heard of the brand before but after spritzing my skin this morning, it seems to be fine. I've been very interested in trying May Coop products because their Raw Sauce (really odd name) has a cult following. It appears they ran out of the Raw Sauce by the time we got there but I was able to grab the May Coop White Water Cleanser (love the easy pump bottle packaging) and the May Coop Raw Moisturizer (that wooden cap detail is amazing). I really should have not purchased any makeup because there's simply nothing I need - but at only $3 a pop, I couldn't help myself. Note, the makeup products all seem to be older batches that were manufactured in 2014 which is not unexpected since this is a clear out sale. I think I already regret getting the Mizon Correct Combo Pact and the Clio Lipnicure. I asked one of the sale staffers if the Correct Combo Pact was a cushion and she said it was - but it's really not. It's packaged like a cushion in that you can remove the inside refill but it has a button mechanism that dispenses product. The one already in the compact was faulty and product wouldn't come out. Luckily, it came with a refill and that one works. I haven't tested it out yet but I'll let you know if this is any good. I've seen the Clio Lipnicures for awhile and have always been curious about them but they're quite pricey for a lip tint. I quickly tried this on yesterday after getting home and wow, this is MATTE. 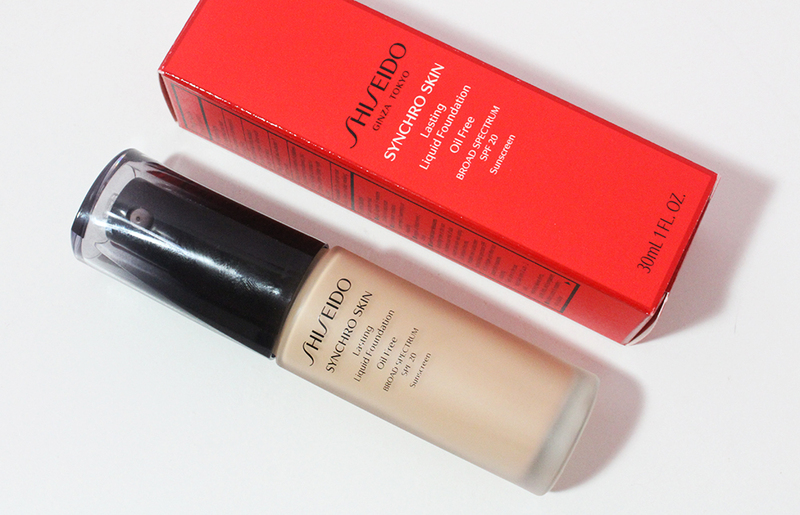 It is the most matte liquid lipstick formula I have tried and it makes my lips very chalky looking. I'll need to play around with this a bit before I make a final judgement but right off the bat I'm not impressed. 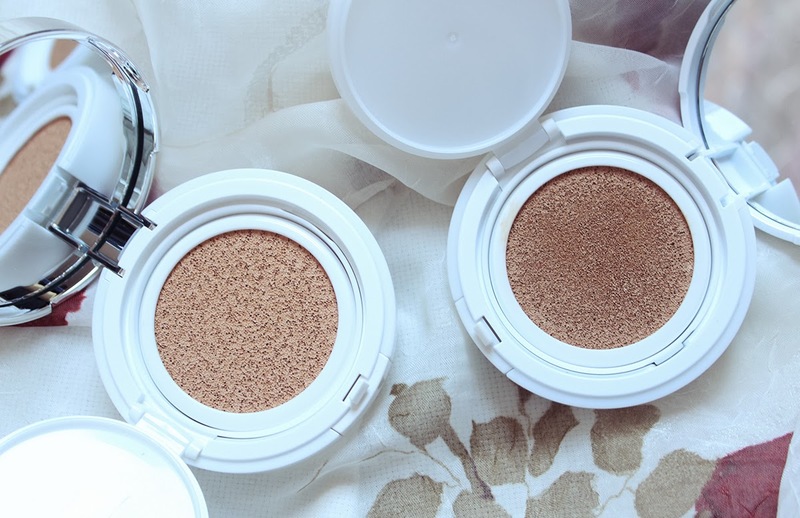 The saving grace in terms of the makeup portion of the haul is the Mizon Correct Jelly Shadow. I've had my eye on this ever since I saw it on the Peach & Lily website a couple of months ago. I'm a sucker for cream eyeshadows and pressed pigments and this looked like a lovely color. I haven't worn this on the eyes yet but upon first swatch, I'm digging this! Expect a full review on this eyeshadow in the next couple of weeks. After reading some rather negative experiences from last year's sale, I was preparing myself for the worst but I'm so glad I was wrong. This was the easiest sample sale experience I've ever had and I think I got a lot of good things to try out for really affordable prices. I'm hoping Peach & Lily does these sales every year and honestly wouldn't be opposed to other beauty retailers doing the same!